A task force involving Mississippi’s attorney general, insurance commissioner, auto insurance carriers, and body shops has been meeting to work out a “consumer’s bill of rights,” the head of a body shop trade group said Thursday. “That’s the goal,” said John Morgan Hughes, lobbyist and executive director for the Mississippi Collision Repair Association. The document would have “bias-neutral” language and be something a driver could receive following a collision, Hughes said. Hughes said he and other participants from the three industries were asked not to discuss the substance of the deliberations; he could only speak to what was public record: the talks’ existence and the end goal. 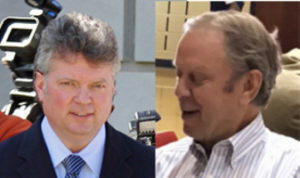 The talks have been hosted by Democratic Attorney General Jim Hood and Republican Insurance Commissioner Mike Chaney. Hood’s office said he couldn’t comment at this point, and a spokeswoman for Chaney on Thursday referred questions to Hood’s office. Correction: An earlier version of this article misstated Attorney General Jim Hood’s party affiliation. Hood is a Democrat. The article has since been corrected to reflect this.